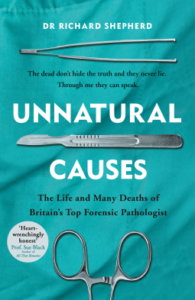 Bookreview Book Review- Unnatural Causes by Dr Richard Shepherd. Book Review: Unnatural Causes by Dr Richard Shepherd. The first time I watched Agent Dana Scully slice open a cadaver I wanted to be a pathologist. I wanted to be there to weigh the heart and slice the brain and find out what makes people tick and, more importantly, how they died. IZombie, Detective shows and other documentaries on mortuaries I find endlessly scintillating and so when I saw this book available on Netgalley I jumped at the chance to read it. It took me longer than usual because I wanted to truly understand what Dr Shepherd was talking about and so I googled lots of things that you really should not be seeing at the dinner table. He wrote this book as a response to mental breakdown in his sixties which he candidly discusses and you can see why. After so many trauma and horrific scenes he must have seen, to not have some sort of PTSD would have been unimaginable. He starts with a frank account of his first massacre and the feelings that came as he dealt with the crime scene and the surrounding area. He darts back to the start of his interest in death and his heroes who inspired him and then heads in a very conversational way to tell of his cases and experiences. He talks about his cases in a way that pulls you in. You follow him on the journey of wanting to know what happened and the thrill of discovery is every bit as great when judging a homicide as to natural causes. The earlier stuff I found interesting from a historical and emotional perspective, how his work affects his family and the learning curve of various methodology. The history of pathology techniques was especially intriguing when he contrasted it to what would happen now. The later chapters are when he talks about some of the cases that reached worldwide acclaim- Princess Diana, Louise Woodward, Harold Shipman, Stephen Lawrence and the Hillsborough Disaster. Knowing that he worked on some of those cases and then reading his accounts of the logistics, backlash and procedural injustice was engrossing. He openly criticizes the justice system in such a way that you can’t help but feel frustrated with the way things are done. He talks about Police putting pressure on forensic pathologists to skew their results a certain way to back up arrests and some being paid to lie on their reports and the effects it has on those who are doing their jobs to the best of their ability. He doesn’t shy back from calling out prejudice and mistakes and that’s what makes it so gripping. He is honest and his only agenda is the truth. As an honest review I loved this book and would recommend it to anyone. 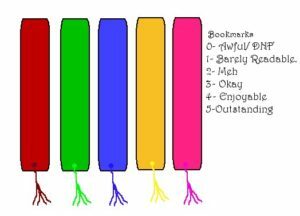 Even if they are slightly squeamish. I thank Dr Shepherd for his honesty and integrity and hope he gets the rest and recovery that he needs.